You are young, ambitious, and (or) have great knowledge how to shape the future of government? Or just a great idea how to do so? 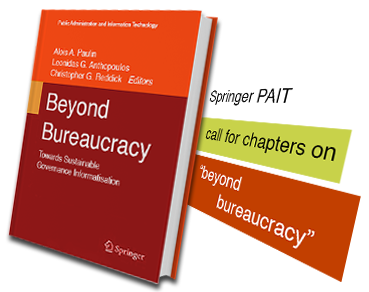 Then come, participate in the 2nd "Beyond Bureaucracy" workshop at the CeDEM Conference 2016 (Mai 18-20, Krems, Austria)! Governance co-production needs standardized IT tools, methods, and standards to bring us a step further. Can *you* contribute to this? Drop us a mail and tell us: what do you want to communicate, how do you want to communicate it, and why what you want to communicate is important. You want to present a poster? Give a talk? Hold a lecture? Let us know, we'll do our best to squeeze it in. ** We'll come back to you almost immediately, promised! We have limited travel support for BB'16 participants from Asian EPU member organizations available - contact us for details! 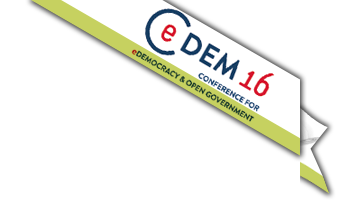 *) BB16 is part of the CeDEM'16, hence T&Cs apply, such as registration fees, etc. Please check the CeDEM conference website for details. If your contribution is to be published in the proceedings, the conference deadline (Jan 10th 2016) applies! **) As long as we see it has value for the theme of the event! Paulin, A. (2015). “Research Agenda towards Structured and Sustainable Non-Bureaucratic Government” CEEe|Gov Days'15.